Canada's public aquarium and learning centre for the Salish Sea. Come and experience 160 species of marine life, a marine mammal artifact exhibit, and a unique Coast Salish art collection and learn about, explore and conserve the Salish Sea Bioregion – its wildlife, waters, land, culture, and people. As a not-for-profit community organization, the Shaw Centre for the Salish Sea connects the public with the Salish Sea Bioregion and its ecosystems through engagement, knowledge and awareness. 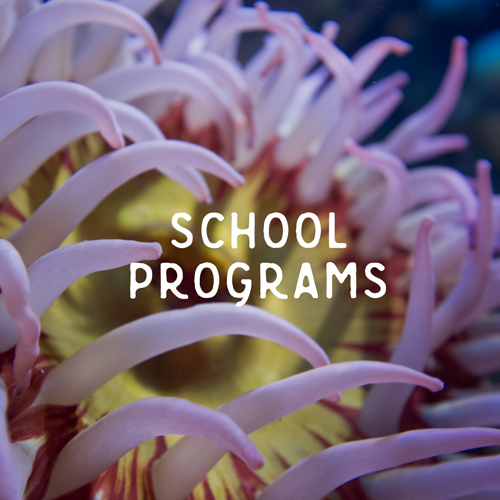 This one-of-a-kind aquarium and learning centre offers an interactive, informative and hands-on experience with the Salish Sea through self-guided visits, daily programs, group and school bookings, and special events and lectures. A bio-rich 110,000 square km inland sea and coastal watershed area of British Columbia and Washington State named for its original habitants, the Coast Salish Indigenous peoples, and now home to 8 million people. Known for its keystone animals – the endangered southern resident orca, Pacific salmon and grizzly bear - it is one of Canada's most diverse ecosystems. A place where the Pacific Ocean meets the nutrient laden waters of the watershed systems of the Coast Mountains - where rapidly flowing tidal currents create rich ecosystems supporting substantial biodiversity including 37 species of marine mammals; 172 bird species; 247 fish species; 3,000 macro-invertebrates; 500 marine plants; and 113 threatened, endangered or candidates for listing. We feel this is a place worth caring about and conserving. Join us in our vision for a healthy and sustainable Salish Sea. A place of significant heritage and culture shared by over 70 Coast Salish First Nations including the local W̱SÁNEĆ or "Saltwater People", who have sustainably interacted with the Salish Sea for over ten thousand years, including the naming of the places, animals and spirits of their traditional territories in their SENĆOŦEN language. The Salish Sea is a place of competing priorities, intricate ecosystems and compelling stories at the crossroads of ancient pathways and new directions, and the bridge between nature and culture. The Shaw Centre for the Salish Sea is a world-class aquarium and learning centre, and a fun, unique tourist attraction and destination located on the Salish Sea waterfront in Sidney, BC. The centre is on visitors' top things to do as the largest aquarium on beautiful Vancouver Island and the only aquarium in Greater Victoria. Victoria is one of Canada's top tourism locations ranked by Condé Nast as One of the Top Ten Cities in the World, and is a gateway to Sidney and the Gulf Islands - ranked as a top international destination by the New York Times in 2016.